AFTER 35 years in the wilderness, Ray Mears has not only survived but thrived. And the TV presenter and survival expert says Scotland has been at the heart of his career teaching bushcraft. “I love Scotland, it’s my spiritual second home,” said Ray, 54. “There’s something in the air and it’s just so beautiful. The air is clean, the water’s clean and the people are fantastic. “It’s an amazing place and when you are there you feel very much alive. The wind blows away a lot of the troubles of the world. “Watching an eagle soaring over the mountains or an osprey falling on a fish is magical. “You have to cope with the weather or rejoice in it when it’s wonderful. “Sadly, like the rest of the world, the politicians are messing everything up. “Politics has become so complicated and people seem to want to cause problems rather than sort things out. “There’s no rest in politics at the moment and I find that very upsetting. 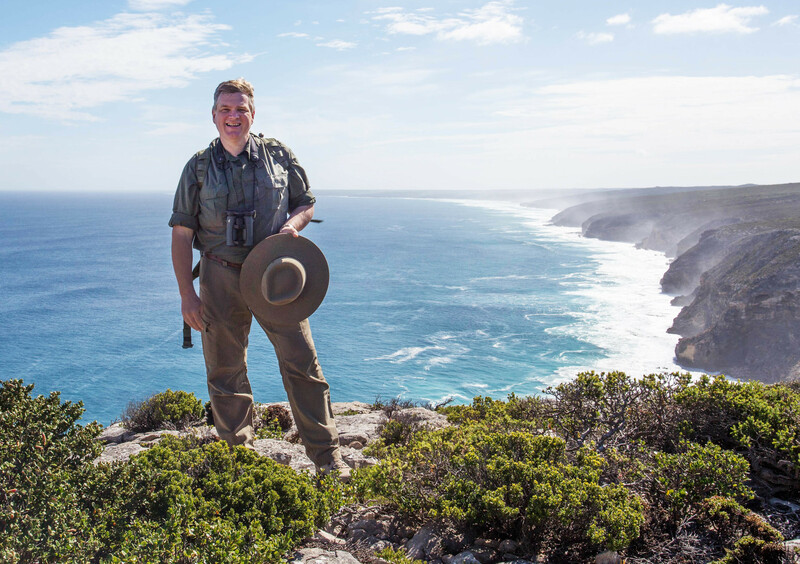 Ray has presented a host of programmes from all around the world, most recently Australian Wilderness for ITV. But he spends at least a month of every year with friends here, as well as the time running his courses. Ray started Woodlore, Britain’s first school of wilderness bushcraft, in 1983 and plans have just been announced for him to personally lead a series of courses next year. Two in particular, the Fundamental Lochside and the Journeyman, will be north of the border and our climate and countryside provide a whole different level of challenge for participants. “We started courses in Perthshire back in the 1990s and we moved our advanced course, the Journeyman, to Scotland. “That was because it was so much more rugged as well as being a different habitat. Although he has travelled to most corners of the world for his popular TV shows, some of his favourite memories are of his times in Scotland. “I remember coming through the Lairig Ghru one winter in deep snow. “I came across tracks of Scottish wildcats on the south side. It was really special but when I told a local wildlife expert he said there were no wildcats up there. “Five years later he sent me a letter saying they actually had found some there. I thought it was lovely that he’d remembered to come back to me and say they had found them.” Ray’s enthusiasm was fired at primary school when he started tracking foxes and wanted to camp out to watch them. His parents had no camping equipment but his judo teacher told him he didn’t need any, you could find whatever you needed to survive all around you. “It turned out he had fought behind the lines in Burma during the Second World War,” explained Ray. “That’s what opened the door for me. “The key thing he taught me was how a few little things had helped him so much. He was in the desert in North Africa for a while and had managed to pick up a second set of Billy Cans. “This let him have a lid on his mess tins so he didn’t get flies on them and therefore he didn’t get ill.
Ray studied assiduously before starting his pioneering bushcraft course when he was 19. “The only thing being taught then was survival, not bushcraft,” explained Ray, who lives in Sussex with his second wife Ruth and his stepson. His first wife died of cancer in 2006. “Survival is a shorthand, it’s what you can be taught in a short space of time to keep someone safe. Bushcraft is something much more, it’s the finesse of how to do something really well. “It’s a study of people and nature and is the oldest and most encompassing outdoors pursuit. How we can live in it, travel in it and thrive there. “It’s the study of a lifetime and something you are never an expert in. Ray’s skills have come to the fore on countless occasions as he’s travelled the world over the past three decades. Along the way there have been plenty of hairy moments, including a terrifying helicopter crash in America in 2005 and lucky escapes from both crocodiles and charging buffalo. He puts staying out of danger’s way down to a sixth sense he’s developed and says he’s still learning now. It’s a knowledge he’s passed on to those on the courses, which teach how to make shelters, to make fire from friction, what plants to eat and use for medicine and how to travel light without leaving any trace. “We get all ages – we’ve had people in their 80s – and from all backgrounds and interests. “Sometimes it’s just curiosity. I was taking a course recently and someone asked me how to make a spear. I hadn’t intended to do it as it’s not something they’d use, but I showed them one Aboriginals had shown me how to make and they were fascinated. And in our high tech, cossetted, always-connected, convenience-filled world, Ray says getting back to nature and caring for ourselves in it is becoming more appealing than ever. “I think we’ve become entrapped by our comforts,” says Ray. “People gain a sense of freedom from engaging with the natural environment. “That’s even the case with people who are used to hiking because their equipment will be fiddly and complicated. “There’s a freeing of the mind, of the spirit, of the soul. “You’re reconnecting with your birth right to respect the trees and the plants like your ancestors did. Details of Ray’s Lochside course (from September 29 next year) and his Journeyman one (from October 6 2019) at www.raymears.com.